Over the past three years, broker Nadine Adamson has helped celebrities like Michelle Williams and Lake Bell double their money in the Brooklyn townhouse market. But the Brown Harris Stevens agent isn’t just dispensing investment advice; she’s also putting it to use. 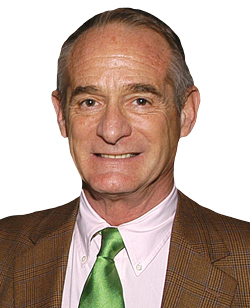 Adamson began investing in the early 1990s, when she bought a $225,000 Soho co-op after getting a cash infusion from an unexpected source: a $20,000 buyout on her rent-stabilized Greenwich Village apartment from notorious landlord Steve Croman, who was looking to turn the units to market rate. Since then, she’s bought and sold half a dozen properties, including the Clinton Hill townhouse where she now lives with her husband and two sons. The phenomenon of brokers investing in residential real estate isn’t new, of course. And it’s nearly impossible to quantify. But as New York City’s luxury sector softens, more brokers seem to be trying to capitalize on the market. Prices dipped in 2016 and have only rebounded slightly since: The median sale price for luxury pads during the second quarter was $6.8 million, down 2 percent form the prior quarter, according to appraisal firm Miller Samuel. And the brokers’ investment decisions speak to where the informed money is placing its bets. “As brokers, we have access to the best inventory,” said Compass’ Victoria Shtainer, who’s bought at least eight condos with her husband over the past decade. “We also see what’s coming out of the ground and how neighborhoods will be changing because Starbucks or Whole Foods just signed a lease,” she added. During the last economic cycle, several brokers made lucky bets on 15 Central Park West and buildings like the Time Warner Center, but this time around, the Witkoff Group’s 150 Charles, the Vector Group’s 10 Madison Square West, Rudin Management’s Greenwich Lane, the Annabelle Selldorf-designed 200 11th Avenue and HFZ Capital’s 11 Beach Street in Tribeca all have brokers who also own units. At 150 Charles, for example, the roster of buyers includes Compass President Leonard Steinberg, the Corcoran Group’s Robby Browne, Douglas Elliman’s Holly Parker and Elliman’s John Gomes. 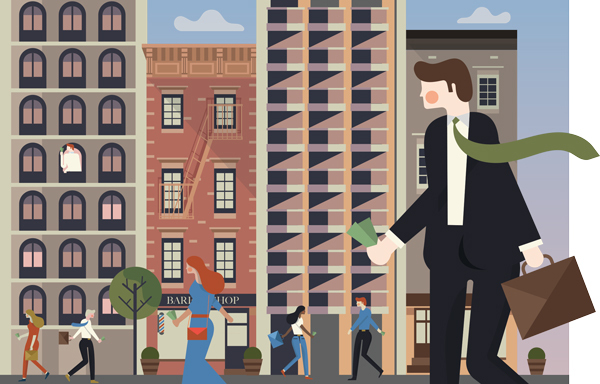 In addition to investing in flashy Manhattan buildings and up-and-coming Brooklyn neighborhoods, some brokers are venturing out of the city into the Hamptons and Connecticut or accumulating portfolios of rental properties that are throwing off passive income. “Right now is a great opportunity for people to buy,” said Keller Williams NYC’s Ilan Bracha, who invests with longtime business partner Haim Binstock, a former client. Bracha, for example, is currently representing a buyer who is paying $7.2 million for a condo on Riverside Boulevard, next door to a similar unit that fetched over $8 million last year. To flip or to hold? For brokers, the temptation to invest in real estate is hard to ignore. On the high end, at least, agents often work with uber-wealthy buyers who spend millions of dollars on apartments — and then walk away with big profits when they turn around and sell. But for brokers who buy properties, the question becomes: Flip it or rent it out and generate income? In most cases, that calculus boils down to the price, of course. On the new development front, one popular strategy for brokers is to buy in a building they’re marketing before the sponsor increases prices — getting a so-called “friends and family” discount. Or they just buy early at a low price when the developers are trying to lock in the first buyers. Douglas Elliman’s Andrew Anderson, who’s flipped six apartments since 2006, said he’s benefited from this kind of early buying at 76 Madison in NoMad and at the Chelsea Stratus on West 24th Street, which he marketed, as well as 195 Bowery on the Lower East Side. He said he’s generally paid between $500,000 and $3 million for the properties, lived in them for a year and then sold them for $3 to $5 million. “There’s built-in value in the timing,” Anderson said, referring to buying condos early, before prices increase and often before the building is finished. 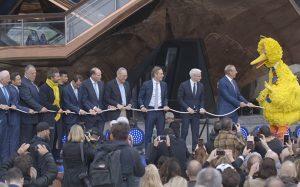 “Generally speaking, someone will pay more money when a product is finished,” he said. Compass’ Kyle Blackmon was an early buyer at 10 Madison Square West. In 2016, he paid $8.7 million for one of the building’s three-bedroom units, which he’s now listing for $11.5 million. Whether he can achieve that ambitious price in this market remains to be seen; another three-bedroom in the building, though smaller, is currently listed for $7.9 million, $600,000 less than the seller paid in 2016. 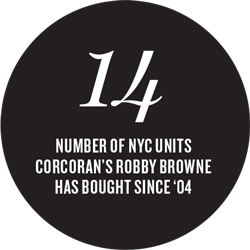 Meanwhile, Corcoran’s Browne said he was the first buyer to return a signed contract at 15 Central Park West back in 2005. Rather than selling, which many early buyers did for significant profits, he rents it for a cool $16,500 a month — or a “nice little nest egg,” as he says. And that’s not his only source of income. He also paid $6.6 million in January for a three-bedroom at the Greenwich Lane, which he later listed for $24,750 a month. “If I believe in a building, I call [clients] and say, ‘You need to think about buying in this building,’” said Browne, who’s bought at least 14 Manhattan apartments since 2004, public records show. Other agents have also fashioned side careers as landlords. In addition to owning his home at 150 Charles, Compass’ Steinberg has two other New York City apartments that he rents out — one at 200 11th Avenue, the other at 444 West 19th Street. Compass’ Shtainer, meanwhile, has an impressive Uptown portfolio that she rents out, while Elliman’s Darren Sukenik is heavily invested Downtown, according to public records. For her part, Shtainer owns at One Beacon Court and at 35 West End Avenue. Sukenik declined to comment. Others have done well across the East River, in Brooklyn. The couple poured $35,000 into each unit, upgrading the kitchens and bathrooms, and now rents them out for north of $3,000 a month each. Like anyone else buying into the real estate market, agents said they target emerging neighborhoods or fixer-uppers where they can add value. Compass’ Christine Blackburn, who started investing in property 10 years ago, when she was 26, bought a four-family house at 59 Stagg Street in Williamsburg for $999,000. She now rents out 10 apartments in six buildings she owns in Brooklyn. “Altogether, you can have a passive income of a couple hundred thousand dollars a year, which, as a broker, is a really nice safety net,” said Blackburn. But regardless of what side of the bridge the property sits on, determining when to sell is key. In 2013, Corcoran power broker Carrie Chiang listed a multifamily townhouse at 40 East 75th Street for $16.9 million. Two years later, she upped the asking price on the property, which she bought for $5.3 million in 2004, to $18 million. But when it didn’t sell, Chiang, who did not respond to requests for comment, listed the apartments for rent with prices ranging from $2,900 to $15,000 a month. Elliman’s Frances Katzen said her cardinal rule for investing is living in the property. That’s what she did at the El Dorado, where she scooped up an estate-condition co-op in 2012. Though others — including her husband — thought she’d gone “mad,” Katzen said she was confident that the 3,000-square-foot unit was a smart purchase given its ample light, good bones and great Central Park views. “Every time you buy in New York, you feel like you’re overpaying, but if you let the market perform for you, it does over time,” she said. With help from her brother, interior designer Mark Zeff, Katzen gut-renovated the unit and is still living there, despite skyrocketing values in the building. In 2015, actor Bruce Willis sold his fourth-floor apartment for $12.8 million, two years after buying it for $8.9 million from U2 bassist Adam Clayton. Still, not every investment goes as planned. 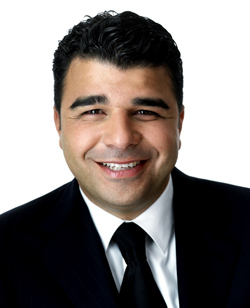 Nest Seekers Internationals’ Danny Nassi, who owns around 100 units in a half-dozen multifamily buildings in Manhattan, said being a landlord isn’t all it’s cracked up to be. “It’s very time-consuming and stressful,” he said, describing 2 a.m. phone calls about hot water problems in a building. Three years ago, he turned over management of the units to a relative so that he could focus full-time on brokerage — though he still believes in buying and holding property for the long haul. “Eventually, it turns to passive income, and you want to be able to pass it down to your family,” he said. Compass’ Blackburn also noted that clients generally like to know that she’s financially invested in the areas she’s selling in. “They know we’re thinking about their investments like our own, even if we’re just the brokers,” she said. New York City brokers have long flocked to the Hamptons. Elliman’s Anderson, for one, has flipped or developed 11 homes in East Hampton and Amagansett over the past five years, including 15 Wireless Road, where he built a 5,500-square-foot, six-bedroom house with a guest cottage that sold for “very, very close” to its $5.9 million asking price in July. “There are certain areas of that market that are underserved,” he said, referring to the price point. But many have looked beyond the Hamptons, both for a more low-key vacation destination or because they view the East End market as too mature when it comes to generating returns. And an increasing number of those players — both brokers and developers — are flocking to parts of Connecticut and the Hudson Valley. In Litchfield County, at the foothills of the Berkshires, the tiny town of Roxbury, population 2,327, has become something of a magnet for high-profile brokers, including for Elliman’s Fredrik Eklund and his business partner, John Gomes, who both have homes there. Stribling & Associates president Elizabeth Ann Stribling-Kivlan also owns a property in Roxbury, while new development marketing guru Louise Sunshine sold one a few years back. Meanwhile, Elliman’s Parker has a place in Washington, Connecticut, and Stribling’s Charlotte van Doren built a house in Cornwall on family land. About 50 miles west, Hudson Valley towns like Saugerties, Rhinebeck and Kingston have also become increasingly popular with New York real estate players. In Kingston, three major New York area developers — Charles Blaichman’s CB Developers, David and Michael Barry’s Ironstate Holdings and BRE Properties — recently bid to redevelop a nearly 23,000-square-foot building owned by the school district. In July, BRE offered $4.2 million to buy the building — nearly double the $2.25 million it was listed at last year and about six times as much as the original 2013 asking price of $750,000. In 2002, Steinberg and his business partner Hervé Senequier paid less than $400,000 for 26 acres on the Hudson in Saugerties. After carving up the land into six plots — and building homes on two — they sold off the subdivision for a combined $6 million. The last of the parcels was sold in August.